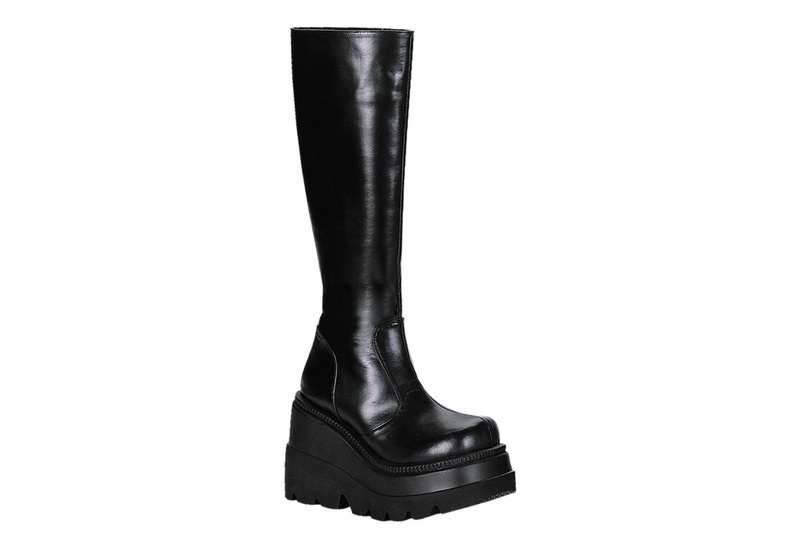 The shaker-100 black PU veggie leather look boots have an 4 1/2 inch platform heel with full length inner zipper for easy on and of. 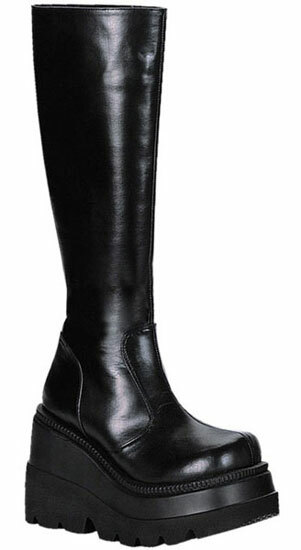 These knee high boots have the simplicity of a platform boot with comfort and stability. 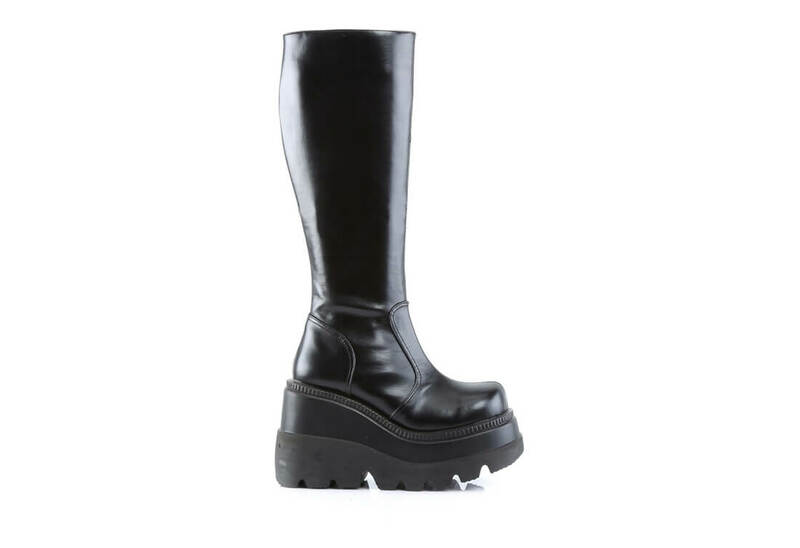 They will have you walking with plenty of height. By Demonia.